Packinmore.com was built not only as the entry mechanism leveraging geo targeting it served up itineraries for people to "pack in more of what they love" in their city. During the Q1 campaign, the site attracted more visitors than any other PepsiCo site. In key markets,Yelp takeovers gave people the key to their city while also inviting them to enter the sweepstakes to win their own "green machine" Subaru hybrid. 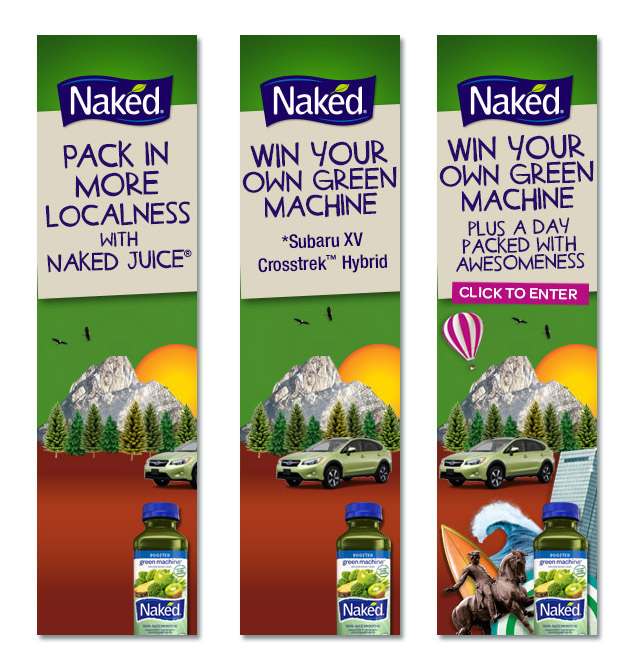 With approximately 150 OOH buys in top U.S. cities consumers were humorously nudged that with Naked Juice, you could pack in more of what you love locally. 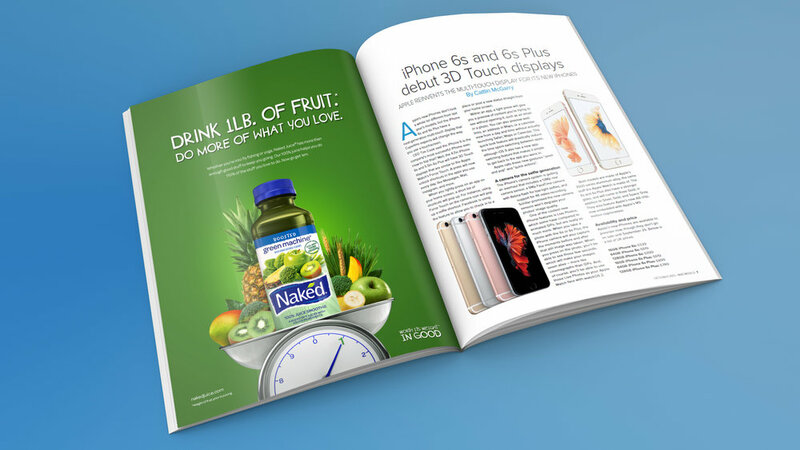 Print ads in Women's Health and GOOD Magazine built awareness of Naked's juice core differentiator-1lb. of juice in every bottle. Animated banner ads in Yelp, Health.com, Buzzfeed and others drove awareness. 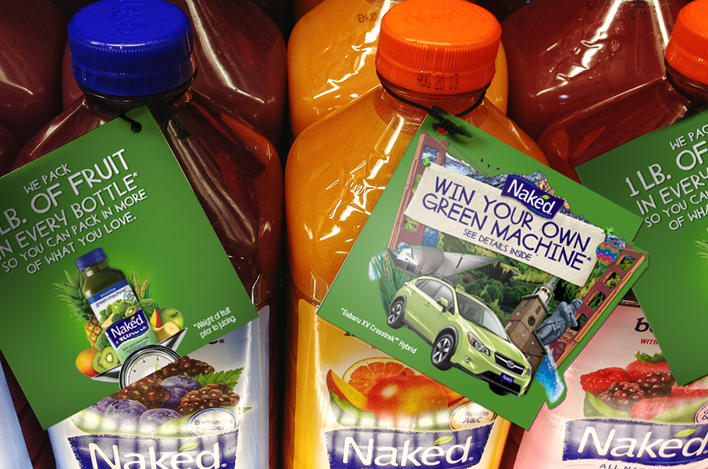 In-store hang tags drove sweepstakes entries and trial with a $1 off coupon inside. 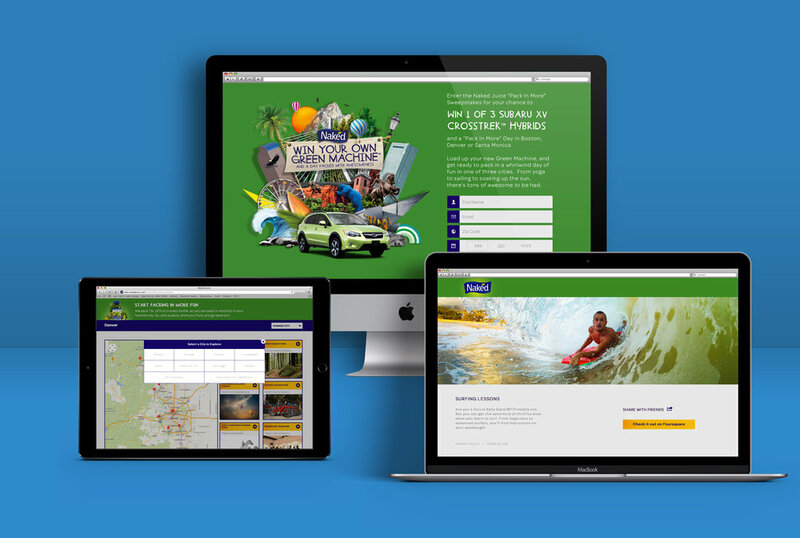 The brand site drove consumers to a microsite where they could enter to win a Subaru Crosstrek Hybrid and a day packed with activities in one of three cities.